Hello bloggers, apologies for my slowness on the blogging front. I have been extremley busy and maybe this time i have a reasonable excuse...im now a fiancee!! I got engaged recently and we had a wonderful party last week which took months of planning. These outfit pics were taken the day after the party and the first day wearing my engagement ring. I'm wearing a printed wrapover shirt which i bought recently in the sales and just love. 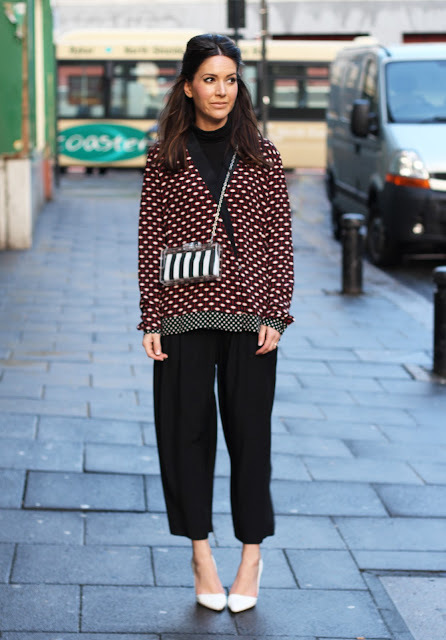 I have a pair of similar printed trousers and plan on pairing the two together in the summer months. 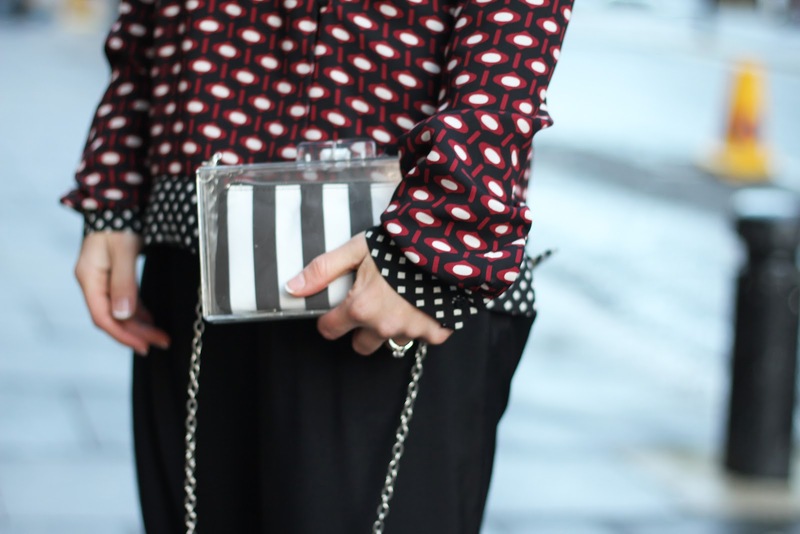 The perspex bag is my favourite high street piece of the year so far. After various designers included similar beauties in their collections the past few seasons i've been searching for a purse friendly alternative.Thankfully Zara put their thinking caps on and came up with this double whammy, perspex with a inner monochrome striped purse....genius! Love it! I find your header also really creative!